Drones provide some of today's most exciting footage, from capturing a new perspective for a wedding to highlighting the dynamic nature of your workplace or even looking for people and damage during a natural disaster. Drone video services can provide a bird’s eye view of what matters most to you. NextThought Studios has worked with a wide range of concerts, schools, personal events and other action to find a perspective that shows the whole picture. We’re expanding our aerial videography company options because we view drones as a key part of the future of capturing the events of our lives. High-end aerial photography is becoming safer and more affordable thanks to drones, so you should expect to see it become a popular tool in everything from home movies to leading documentaries where storytelling is a fine art. No matter what need you have for drone video productions, we’re here to help you understand the capabilities of this exciting new technology and put it to work best for you. You create the vision, and we’ll capture it. Fill out the form to learn more about drone photography, video and footage with a free consultation. 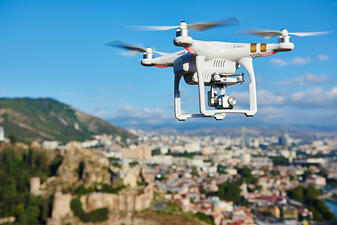 When Does Aerial Drone Videography Make Sense? Aerial videography services are a perfect choice for showing the scope of an event, building, forest or other experience. You can say that 10,000 people came to a concert, but seeing them all in one continuous shot truly gives you the scope. On the other end of the spectrum, drone video services can also show the remoteness of deserts, the expanse of crops or even how close tracks of isolation are to the roads we drive on each day. As a prime aerial videography company, we know drones provide a fresh look at our lives and our planet in a way that’s hard to imagine. Drones filming videos allow us to open this capability to a wider range of experiences and people, often in safer operational conditions due to people needing to be in line-of-sight but not up in the air. In our work, drone video productions have been a top choice for businesses, commercial and residential realtors, event venues, large organizations with large buildings and campuses as well as filmmakers and adventurers looking to capture something new and share it with the world. Plus, we also see a growing number of small businesses turn to aerial drone videography to show the inside of their company in a new way. By providing a new perspective, they are making an exciting case for customers to visit. What Are the Key Benefits of Choosing Our Drone Videography Services? NextThought Studios films in 5.2K raw video, which few other companies offer, especially in their drone programs. What this means for you is you’ll get an exceptionally high-end aerial photography package with cinema-quality footage. It’ll be a beautiful, moving shot that provides a dynamic perspective of any situation. Plus, we have a deep history of creating video production for a variety of use cases, and we’re bringing that expertise to every drone project. From marketing videos to team training and a walkthrough to prep people who might visit your site, drone videos can deliver the information you need in a way that was previously unavailable. The 5.2K video, with options to shoot up to 240 frames per second, allows us to capture extreme details or extreme slow-motion video in the air, so your training can be precise each and every time. Drones have a small footprint and can get the shot above or next to your staff where a traditional camera operator and other previous aerial photography options couldn’t go. What Experience Does NextThought Have With Drones Filming Video? We’re one of the few companies with the experience, equipment and vision to help you capture exactly what you need, where you need it. Our aerial videography company operations are FAA-approved to provide low-altitude drone aerial cinematography and photography with special high-quality cameras designed to capture detail right where the action is. We have FAA-certified drone pilots on staff who have many years of experience flying UAVs, and we pair them with leading technology like the Inspire II drone that has the ability to fly at 60 miles an hour and capture any situation, no matter how intense. Our highly skilled pilots not only shoot soaring vistas but also a wide range of spectacular indoor locations with tight turns and fragile environments. Plus, you get drone video services that aren’t subject to weather, wind or other turbulence, allowing us to film when it’s most convenient for you. What Makes Drone Video Productions Different From Other Aerial Videos? There are a sizeable number of differences between operating drones and other aircraft to capture video, but what you really want to know is, “Why should I pick a drone over other options?” It’s a great question, and the answer is, simplicity to capture the shot you need and the shot you want. High-end aerial photography for drone video productions uses equipment that can make a full 360-degree snap in an extremely small footprint. With the right cameras and hovering height, you can have a continuous shot of something as it moves under the drone and keeps going, without shaking or quality loss. Plus, drones can follow people under tree canopies, down hallways or even along dangerous cliff climbs without posing any risk to the subject of the video, equipment itself or the pilot. 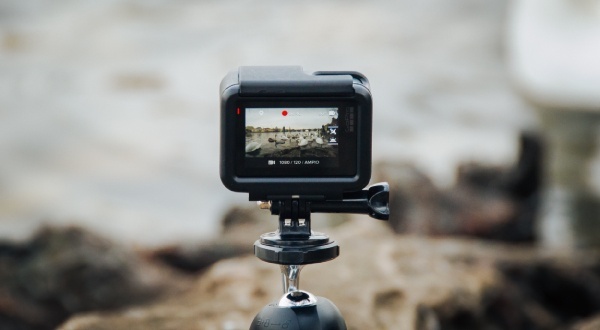 Combine this with on-location production services, and you get the chance to review video and see what changes you’d like or new possibilities with minimal need to reshoot or return to a setting later. Drones allow us to create an intimate video with lower costs, risks and greater control over the shot. You get the video you want at a smart rate and high quality, all thanks to drone video services. We know that sounds pretty exciting, and you’re ready to go right now. Get in touch using our contact page to tell us a little bit about your needs and desires and receive a quote. We’re ready to hear from you and start your next great project. With new video animation and animated video production strategies, you can stand out from the crowd and deliver a clearer message to your audience, whether they’re customers or team members. Engage them with the right content and rely on video animation to make it a compelling experience they’ll want to repeat. NextThought Studios’ animated video production team and designers can help you make it happen right here in our Norman, Oklahoma studio. Our team is ready to start designing a new educational and promotional video experience for your target audience. Click to learn more about NextThought Studios’ capabilities and leadership among animated video production companies.